The powerful stun gun discharges 3.5 million volts and a noise so frightening that the attacker runs off after hearing it. 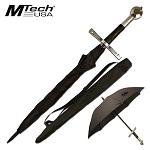 Mtech cool outdoor umbrella with polymer saber sword handle. The black umbrella is 40 inch overall length. 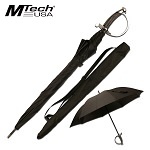 Mtech cool outdoor umbrella with polymer long sword handle. The black umbrella is 40 inch overall length. 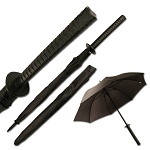 Mtech cool outdoor umbrella with polymer katana sword handle. The black umbrella is 40 inch overall length. 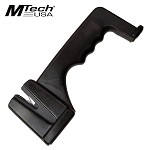 Mtech USA knife sharpener for sale. 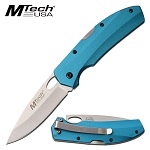 The knife sharpener is 7.5 inches long with ceramic rods and injection molded abs handle. 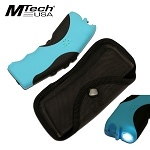 3.8 million volt Mtech stun gun with rechargeable battery and carry sheath. Tactical knife by Mtech knives. 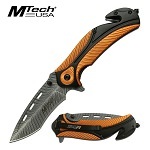 Best pocket knife with orange and black handle. 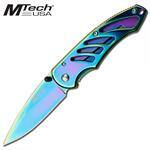 3.25 inch etched blade pattern. Cool pocket knife by Mtech Knives. 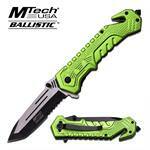 The tactical knife is a spring assisted knives. Cool Mtech knife with bottle opener screw driver handle. 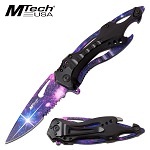 Knife blade is galaxy design and black anodized aluminum handle. 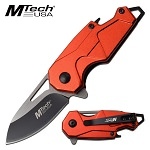 Mtech pocket knife Sativa Marijuana Leaf handle. 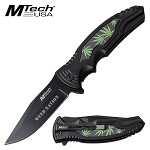 The aluminum handle is 4.75 inches long with printed sativa leaf picture. 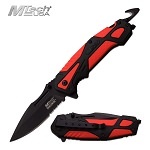 Bottle opener handle pocket knife. 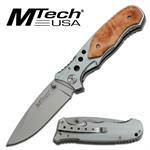 The small size assisted opening knife is 5.25 inches long open length. 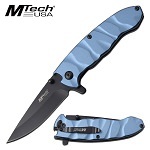 Mtech pocket knife with blue aluminum handle. The assisted opening knife is 7 inch overall open length. 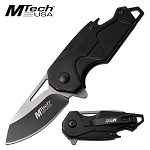 Mtech pocket knife with black aluminum handle. The assisted opening knife is 7 inch overall open length. Spring assisted knife with open length of 8.25 inches. 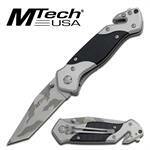 The grey tinite coated blade is 3.5 inch long.